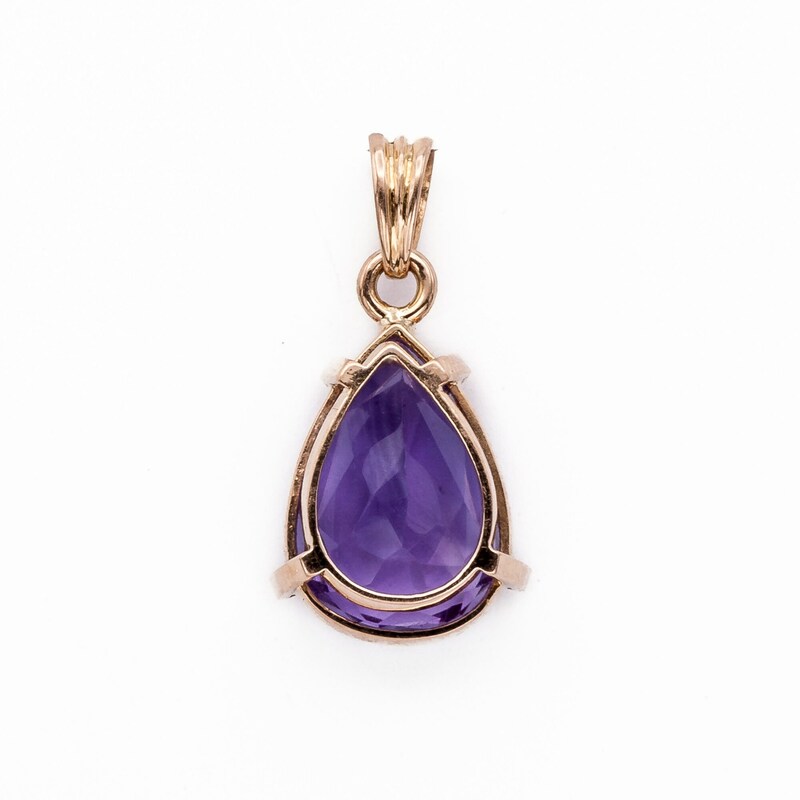 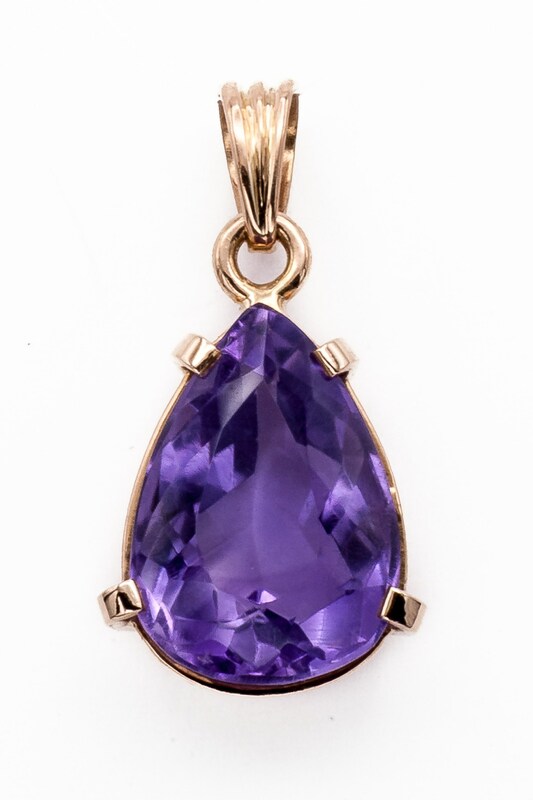 This simply elegant pendant of 18K Rose Gold was made in the late 1950s by hand and prong set with a fine faceted pear-shaped Siberian Amethyst which measures 16 x 11 millimeters and weighs approximately 6 carats. 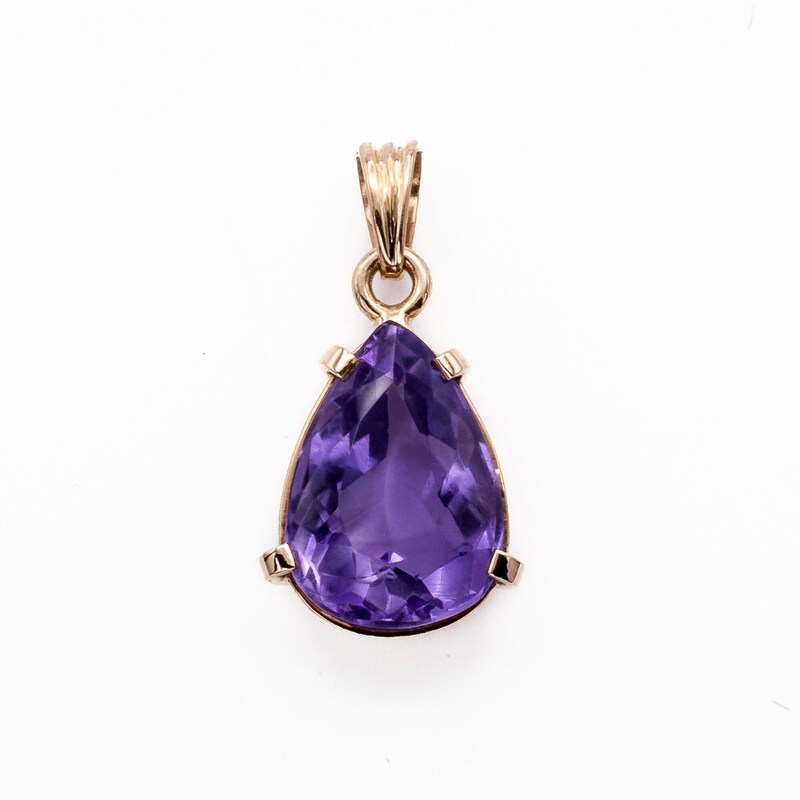 The color is of a deep Royal Purple with even pigmentation and excellent cutting. 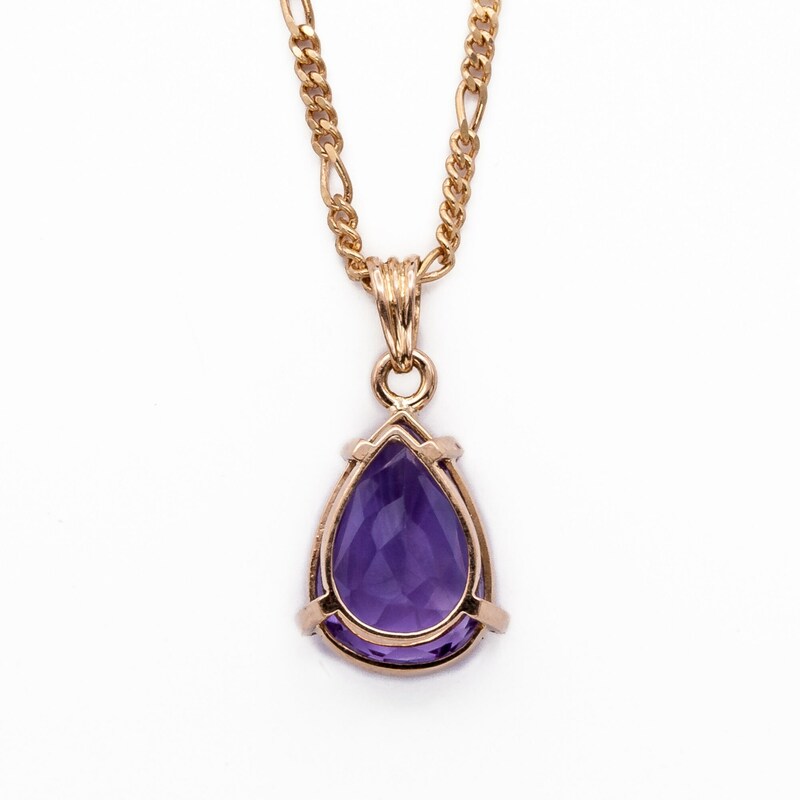 It is the kind of necklace that so many seek out today because of its versatility. 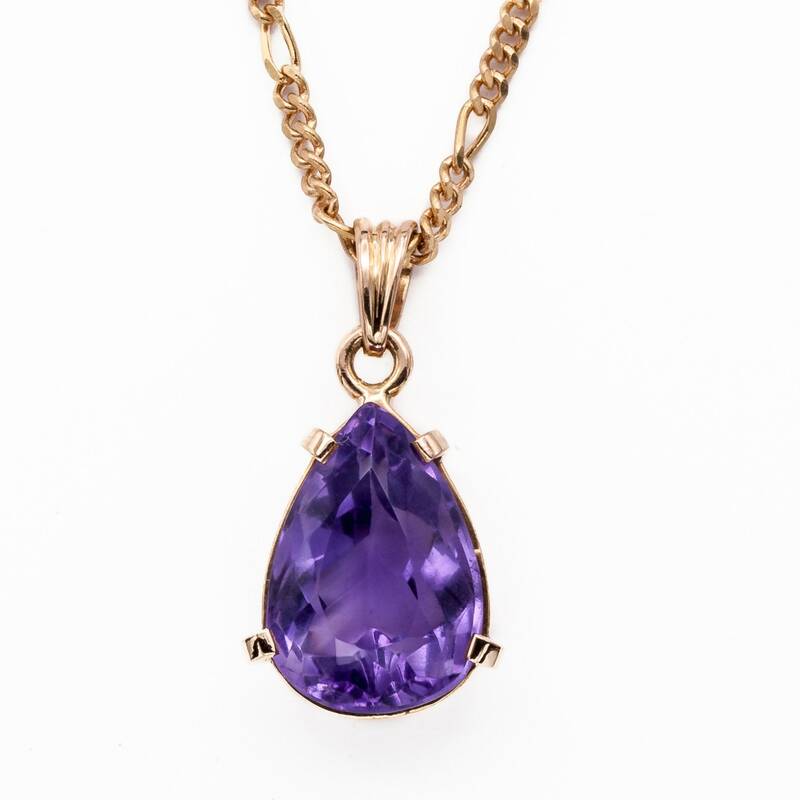 It could be worn anytime, day or night, and has the added plus of being the birthstone for February. 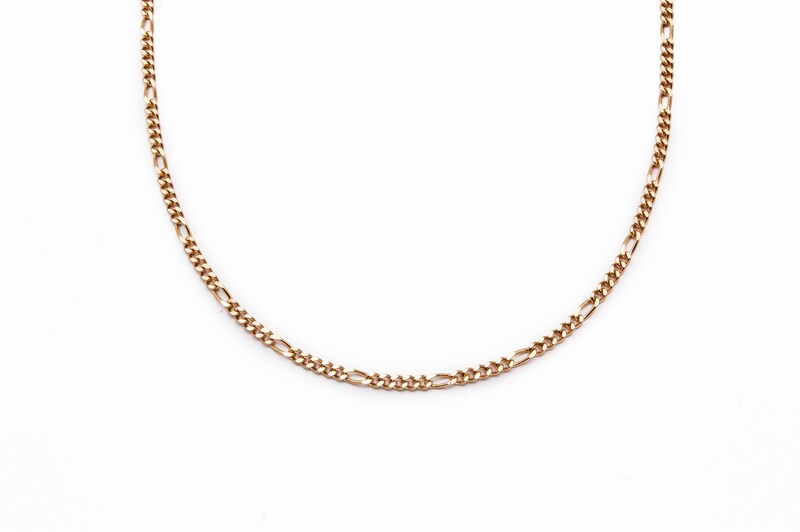 Featured here on a unusual Figaro 18K Pink Gold heavy curved link decorative neck chain measuring 17 3/4" long inclusive of a heavy spring-ring catch. 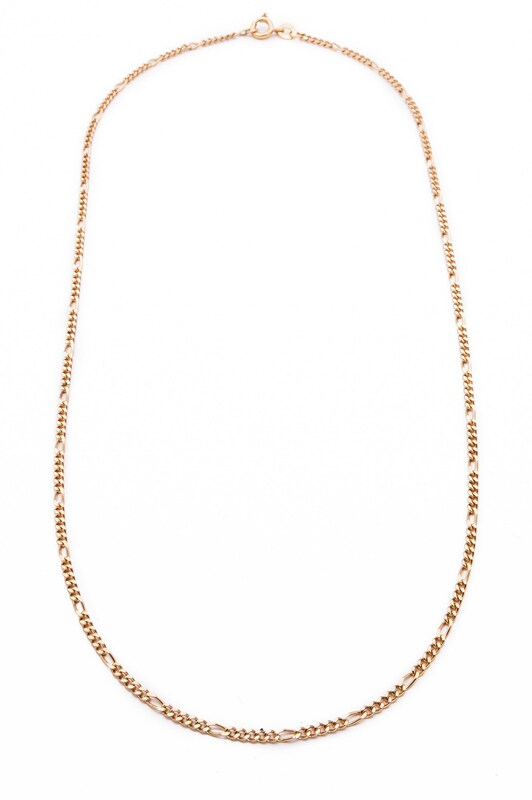 Although it came to us with this beautiful decorative link neck chain, it could go on any chain you already own, or any of the chains in our huge collection of chains. 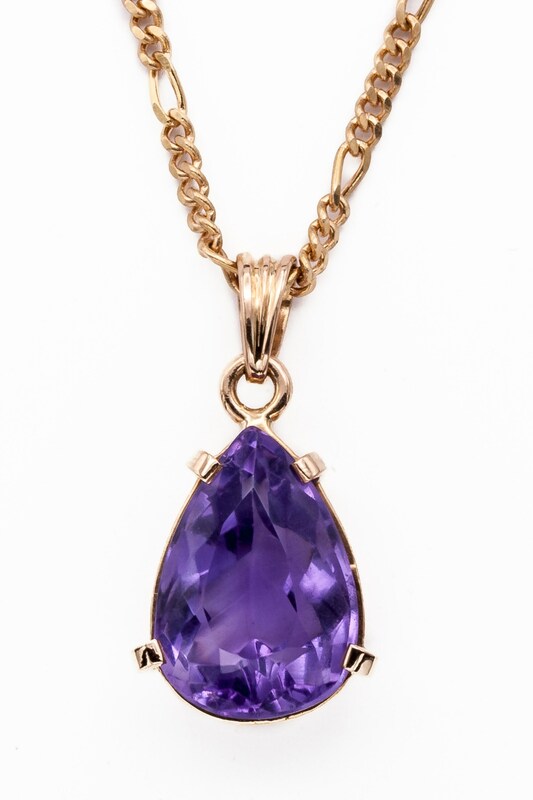 Please message us and we can send you photos of numerous other neck chains in various lengths.